Replace your worn out factory brake pads with this quality kit for 1983-86 Mustang! LRS Is proud to carry quality Name Brand replacement brake parts for your Mustang. 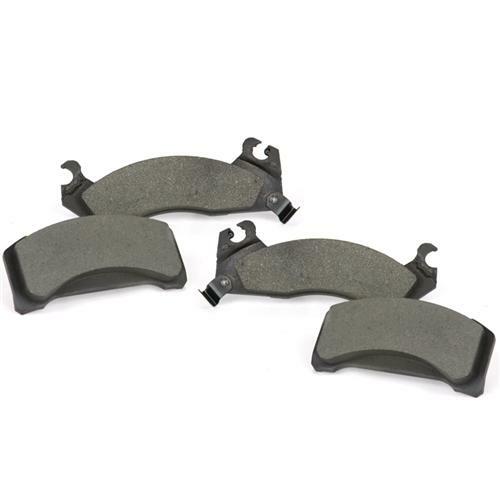 These Centric Posi-Quiet brake pads fit 1983-1986 Mustang except SVO models and are manufactured using the same positive molding process utilized by Original Equipment suppliers. Positive molding uses extreme pressure to compress the friction material and bond it to the backing plate. This process assures consistent friction material density throughout the pad, resulting in even wear and performance characteristics throughout the life of the brake pad. The number one cause for normal customer returns are noise and vibration. 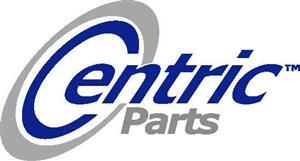 Centric Parts has recognized these issues and is constantly improving its products to eliminate these issues. Posi Quiet brake friction features either precision cut or shaved backing plates and mechanically attached shims; these small details ensure proper fitment in the caliper and virtually eliminate noise associated with pad vibration. In addition to these features Centric Parts has added a scorching process to all of its Posi Quiet brake pads. This additional process forces any impurities out of the friction material and pre-burnishes the pads to greatly accelerate the break-in process. All Posi Quiet brake pad friction formulations are asbestos free and are available in three application specific compounds. All Posi Quiet brake pads are scorched to accelerate the break-in process. This OEM process enhances key friction performance levels. Scorching raises initial cold effectiveness, stabilizes friction levels right out of the box, provides consistent performance across the entire operating range. During the scorching phase, each brake pad surface is super-heated to simulate the initial break-in process performed by installation technicians. This additional step removes any uncured bonding agents eliminating the need for initial break-in and reducing noise caused by pad glazing. Scorching thermally conditions the pad material which yields a more consistent and higher friction level right out of the box. Scorching benefits the vehicle owner by promoting a more complete bed-in of new pads, increasing the effective stopping power from the first stop.